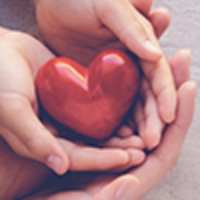 Provide comfort for the family of Mildred Skirvin with a meaningful gesture of sympathy. 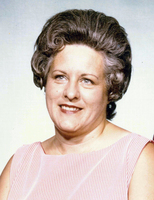 Mrs. Mildred Lucille (Richardson) Skirvin, age 84, of Moorefield, Indiana, entered this life on September 29, 1934, in Indianapolis, Indiana, the loving daughter of the late, Harry Milton and Kaola (Doyle) Richardson. Mildred was united in marriage on May 1, 1954, in Indianapolis, Indiana, to George William Skirvin. This happy union was blessed with three children, Lawrence, David and Pamela. Mildred and George shared over 64 years of marriage together until her death. Mildred was employed as the secretary for Commercial Motor Freight Company in Indianapolis, Indiana. She had resided in the Switzerland County community since 1986. Mildred was a wonderful homemaker and enjoyed sewing, painting and ceramics. Mildred passed away at 4:54 p.m., Wednesday, January 2, 2019, at the Swiss Villa Nursing & Rehabilitation Center in Vevay, Indiana. Mildred will be deeply missed by her husband of over 64 years, George William Skirvin of Moorefield, Indiana; her children, Lawrence W. Skirvin of Indianapolis, Indiana, David Skirvin and his wife, Becky of Indianapolis, Indiana and Pamela Matthews and her husband, Robert of Greenfield, Indiana; her grandchildren, Stacey, Brandon, Heather, Tyler, Kyle, Alicia, Erika and Nathaniel; her several great-grandchildren and her sister, Portia Richardson of Beach Grove, Indiana. She was preceded in death by her parents, Harry Milton and Kaola (Doyle) Richardson; her brother and her four sisters. Private family services are being held at the convenience of the family. To send flowers in memory of Mildred Lucille Skirvin (Richardson), please visit our Heartfelt Sympathies Store. Donations are being accepted for: Keeping Pace Cancer Fund % CFSCI. Provide comfort for the family of Mildred Lucille Skirvin (Richardson) by sending flowers. I just saw this and wanted to pass along our condolences. We are very sad to hear of Mildred's passing. Deeply sorry for your loss my mom melinda cloat and I would go and visit Mildred and her husband George and they were always ones to welcome you inside of their home. She was always extremely nice to me when I would come over and we always had great conversations.